A memorable product imitating a universally recognised icon. Instantly, you know who is saying what. 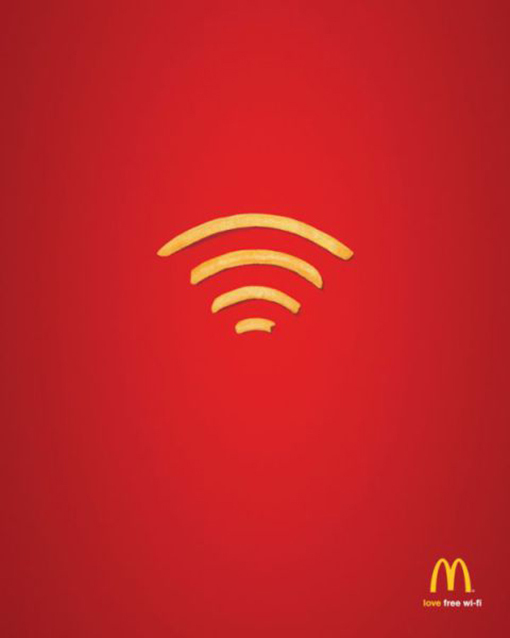 McDonald's has WiFi.